THE CONTINOUS REMOVAL OF BIAFRA'S NEWS BY GOOGLE, A CLAMPDOWN ON FREEDOM OF SPEECH. It has been brought to the notice of Biafrans that Google has commenced an intentional removal of news, links, videos, speeches and articles on Biafra without issuing a forewarning on the rationale behind such awkward and anti-human approach. Biafrans are not law breakers; rather law abiding citizens. Therefore, I find it very difficult in understanding why such a media outfit like Google will allow itself to be used by a tyrannical government of African Hitler; Muhammad Buhari at silencing the voice of the oppressed, the Biafrans. May I as well use this medium to inform Google that the same government it is trying to shield has been confirmed by the United States department of State and the European Union's parliamentarians that the rate of human rights violations under the leadership of Buhari has heightened to an alarming rate. It begs to question, why should Google be a benefactor to a government that does not mean well for Biafrans? Does it mean that all the global outcries of all sorts of abuses meted on the Biafrans by the Nigerian government mean nothing to Google? It is understandable that any government will want to propagate itself in the best way to the world. However, silencing opposing voices through all means available is something the Nigerian government is good at doing. Severally, Buhari had tried to silence Radio Biafra by buying over the carriers of Radio Biafra. That did not work. This same government continues the illegal abduction, detention and killing of Biafrans that speak the truth about the rot in the Nigerian government. Probably, Google has not done its research very well before allowing itself to be a tool to the subjugation of peaceful Biafrans. The only reason why the Nigerian government is engaging the Biafrans in media war through her accomplices i.e the Nigeria media both in Nigeria and in foreign lands is because of the continuous truth being broadcasted by Biafrans on Radio Biafra and its news websites. Biafrans keep exposing the well-orchestrated crimes against Biafrans by the Buhari led administration. This does not augur well for Nigeria internationally. This then is the reason for using Google as a tool at disallowing worldwide access to news about oppressed people of Biafra. Thus far, it is important to alert Google that the rights to freedom of expression do not only protect what suits the listening ears, beautiful to the eyes and soothing to feelings. It also protects the opposing views and opinions that often enrages a tyrannical government of which Nigeria is an example. The Indigenous People of Biafra (IPOB) has been tagged the most peaceful indigenous people ever recorded in the history of Africa. Everything we do is strictly under the ambient of the law. The (IPOB) has never violated any law and will never do. Therefore, why should Google overlook these good, peaceful and law-abiding Biafrans and instead, support a criminally minded government of Nigeria? It should be on record that Google's continuous censorship of Biafra's news is tantamount to trampling on the rights of Biafrans to freedom of speech, sharing of opinions and organisation. 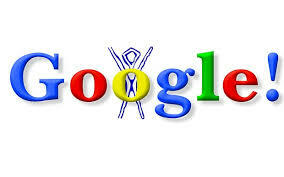 If Google should allow itself to be influenced by a government that is an epitome of corruption is most disappointing. How much must Nigeria government have given to Google to buy over their impartial and right sense of judgement to accept to sensor out truthful news of events that are happening in the contraption called Nigeria as reported by Biafra Times and Biafra Herald. We therefore call on Google to cancel such contract with the corrupt government of Buhari and remain impartial in their support for freedom of speech, press and information. Contact Google and alert them.And deman for reason for doing such. Use there email address or phone number.